What is is like to be the recipient of supreme service? Have you ever been really surprised by someone’s kindness, love or service? There are times when you are receiving supreme service it can be overwhelming. Supreme service is heartfelt giving. This kind of giving isn’t measured. You can tell someone’s not serving for some kind of compensation. It’s done out of pure joy. Enjoy listening to this fun episode on offering even more supreme service. It’s really a lot of fun! Thank you all for listening to today’s True Connections with Weston Jolly podcast; Supreme Service. 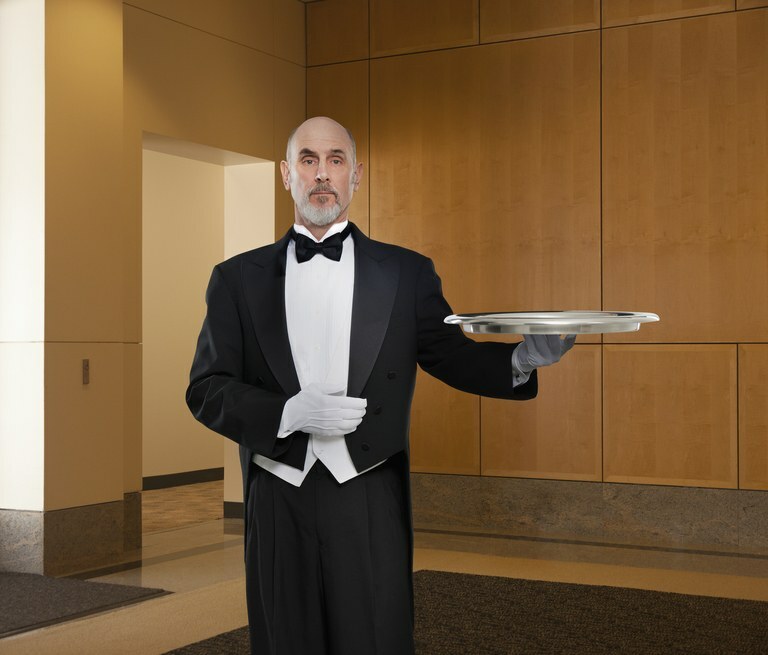 Let me introduce this topic by telling you an unusual story of supreme service. A friend of mine recently wrote me that he would be flying into Phoenix in the next couple of days, and he’d have a very short layover. He asked if we could have quick dinner. Excitedly, I responded “yes” and began planning where we might go “off campus” so we wouldn’t have to eat any of that dreaded airport food. Our timetable would be tight as he had less than three hours in between flights. I had arranged a restaurant that was very close the airport that would have great ambience to our having a phenomenal conversation and quick meal. Everything was set. The day of our getting together arrived and my friend texted me that his flight leaving California was delayed. I thought to myself, Oh boy, how’s this going to work. I texted him back to update me as he could. Through many texts back and forth and my contemplating abandoning the whole idea of trying to get together, I found myself driving hurriedly to the airport where we’d find something a place to eat on the fly as we’d only have about 45 minutes. My friend had just come up the escalator and I’d just walked out of an elevator from the airport parking lot when we saw one another we excitedly hugged. I looked up and there was a simple, fast food restaurant where I knew we could at least get a salad. My friend and I were already talking a mile-a-minute when we placed our food orders. Upon paying for the meal, a very kind and nondescript cashier said, “thank you Mr. Jolly.” I smiled at her attentiveness as I was handed back my credit card, I nodded and continued the conversation with my friend. We sat at a tiny table that was barely big enough to hold our meals and a couple drinks. My friend is originally from the Midwest and he has spent some considerable time in New York so the pace of our conversation can really hum. You might have noticed that I can talk quickly too and we were both talking hurriedly. Our cashier/waitress said, “I’ll get it.” She then looked at me and said, “would you like one?” I was overwhelmed by her politeness and simply said, “Sure.” She smiled and proceeded to get our waters. She dropped them off and disappeared like someone serving at a truly nice restaurant not wanting to bother us in our deep conversation. I finally wasn’t talking, quite a feat I know, and I put my fork into my salad and came up with a piece of chicken. My friend said, “Sure!” knowing good and well we weren’t eating in a restaurant with a fine white linen table cloth. Our waitress looked at me and I followed my friend’s lead and I again nodded my head. She left as quick as she’d come and was back again with fresh bread. To be fair, we were eating in a fast-food bakery. But still when was the last time you were served bread with fast food meal at an airport? While we weren’t served butter in a special handcrafted butter dish made from China it was delivered on a while plate instead someone dropping the foil wrapped square cubes of butter on the table or in a bag or saying “It’s over in the condiment area.” I kept thinking to myself, What’s going on here? My friend is no spiritual slouch and he too clearly recognized that we were getting VIP treatment. I was smiling because my friend was smiling but we remain focused on catching up as fast as we could. Time was ticking. I looked at my watch and I said, “I’m not sure what time you need to go?” and my friend said, “now.” I pulled a hundred dollar bill hidden from my wallet and said, “Give me just a minute…” My friend already knew what I was up to as I found the cashier wiping the long table where patrons stand as they eat at the front of the restaurant. I approached the woman and said, “It’s rare to be served in such a loving and sincere way. I had folded the Benjamin so you couldn’t determine the value of the currency and I slipped it across the table with our eyes deeply connected as I continued thanking her for our meal and her extraordinary service. I said, “I can’t encourage that kind of stuff enough…you know to truly give like that. Especially, when it comes from the heart.” My friend dropped his eyes and with a big smile and said, “I know…” I know he gets it and I hugged him even harder because he knows I too recognize him for his grace and love to offer supreme service. I said before we departed, “It was worth every minute…” sharing my deep love and appreciation for our relationship. My friend said, “I told you it would be!” in jest to my previous consideration of not coming due to our exceedingly small window of time to meet. While time is limited supreme service isn’t. Serving is only one half of the equation. It’s the giving half. Next week, appropriately so, I’ll be speaking of the the receiving half and how gratitude is on the other side of the equal sign. In this moment, I want to focus on your offering supreme service. You may wonder why? Why should you serve or give at all? Let alone supremely. But somehow I don’t think you’re the kind of person that needs an explanation to why giving is so important. Still, you may have overlooked the beauty of supreme service. Supreme service is selfless. It’s unconditional. And it always comes from the heart. If you’re a note taking person, I’ve just offered you three points to offering supreme service. Supreme service is a joy. It is a road less traveled, for reasons I can’t really explain, but it is rare. When you feel it, and you’re the recipient of it, you truly feel like you’ve been touched by God. This reminds me of something else I need to tell you. I was encouraged to watch the Kindness Diaries by another friend and client who said, “I had to watch it.” She wasn’t wrong, I did have to watch it. In a nutshell the program is about Leon, a very successful American businessman, who felt hollow in all his acquisitions and relationships and set out to discover the world’s kindness. Leon, determined that he would travel the world in an old but brightly painted canary yellow motorcycle and side car. His self imposed mission was to discover the kindness of the world and he would test this by having no money. This meant he would have no provisions for gas for his motorcycle, nor would he have money for food or lodging. Everything would have to come from people that he met and their desire to share kindness. You can’t watch this series without truly experiencing how some people honestly offer love and kindness to one another. It’s a perfect example supreme service. I’m sharing all of this to talk to you about one very meaningful incident that took place with Leon in his bright yellow motorcycle and side car. In this one particular Netflix episode of which you can find by going to this post of my website at WestonJolly.com Leon is offered a place to spend the night by a rickshaw driver in New Delhi India. If you don’t know, India is one of the poorest nations in the world with an average income being around $1,963 annually. Make sure you register that figure correctly in your mind, that is less than $2,000 USD for the year. And that is $166/mo. There you go. Now you’ve got it. So, this rickshaw driver from New Delhi offers Leon, a place to stay and a meal. What you find is that a family of four is living in a unspeakably small living space. This real kicker of supreme service is when the rickshaw driver offers Leon his bed to sleep in. Leon appropriately asks his host, “Why would you offer me your own personal bed to sleep in? The rickshaw driver said, “Because this is culture, Indian Culture. Guest is like god.” Now, I want you to imagine sleeping in this twin sized bed, with the family’s two small children, while your host and his wife slept on the hard floor. This is supreme service. It’s not just serving tables when technically it’s not your job. It’s about heartfelt giving. Nobody really needs to be told how to serve. If someone is telling you to serve then it will never be the same as you having the idea. On another occasion, I flew to New York many years ago to offer a workshop and when I arrived at the Sheraton it was really late. I was exhausted and the room that I had booked had a problem. I went to the front desk and asked for some help, and the night clerk did an extraordinary job of upgrading me into an even nicer suite especially when the hotel was full. I was starving and had badly mismanaged my eating for the day but he further assisted me in getting “at least something to eat” before I retired for the night. I was touched by his love and generosity. I sat waiting sitting in bar while he went into the kitchen to rustle me up some food, clearly not his job. I was tired but something about sitting in the bar felt funny. There was nothing wrong, it just felt energetically loopy. Finally, I looked up at the walls and saw good sized pictures of real people, helping other people during 911 at the falling of the twin towers. I felt deeply connected to the people who were gone. Even more connected to the firefighters, police officers, and literally everyone else who offered supreme service. I hopped that trip to again see a woman who lost her ex brother-in-law during his supreme service and destruction of the World Trade Towers. The clerk shot out of the kitchen and served me food while I ate in deep emotion and in hope that my service my coming to New York would be truly felt by the many who were still grieving the that took place in their backyard. As a mater of information, I wrote the CEO of all the Sheraton Hotels explaining of my extraordinary service by the night clerk at his hotel. Naturally, I didn’t inform the clerk but he received a nice accommodation from the CEO’s office and was also given a very nice dinner for two for his supreme service. He wrote to thank me, and asked to help me again should I ever return to the area. I am now currently thinking of the many who are serving tirelessly to put out the fires in California. They are fighting the largest fire the State has ever had. During the day of releasing this podcast the death toll stands at 42. I have insight that the number will grow to 102 before this incident is under control. What can you do or say to someone when they save your life? These people don’t think twice about putting themselves in danger to really serve and help. There really aren’t words for this kind of supreme service. I wonder how we all can take our game to serve to another level? I’ll be forever thankful to the nurse who helped my best friend in and out of critical care when he underwent his second open heart surgery at 21 years of age. Her name was Pat. I hugged her in the hallway just after I wheeled my best friend into the elevator for a pre-surgical test I couldn’t attend. I wanted her to know from the depths of my being, the compassion and love I had for her taking care of my best friend during his time of true need. I greeted another nurse in Boise, Idaho the same way, after just meeting the woman, who was taking care of my mom after her stroke and stay in intensive care. These supreme acts of service are so hard to describe because of how they touch you when we you are the recipients of such love and kindness. I remember like yesterday, years ago when our car mechanic knew I couldn’t afford the BMW parts that we needed to fix our car. Our mechanic Richard contacted his brother in Germany flew the parts in and performed the needed repair at a fraction of the cost during a very tough financial time. Most people don’t tip their car mechanics, I do. I want Richard to know how much we value his supreme service. Richard’s love, service and passion for people isn’t limited to me or my family. He’s a true friend. I know he’s given and given in so many circumstances and to so many others; including single moms who really needed a break, including giving them a loaner car at his cost while he fixed their car with the smallest of compensation. I’d really like to thank the family who donated the case of WD-40 to me of which I in turn gave to Richard, our car mechanic. This was the second time that I was gifted a case of WD-40 to me as I re-gifted it to Richard. By the way, we should talk about this clan. You see this family offers supreme service everywhere they go. It’s so natural, the whole family doesn’t even think about it. Each member of this family easily demonstrates how we touch one another in acts of supreme service. It was almost a year ago, when the eldest child of this same household offered Abundant Love. I wrote about it in an article and you’ll find the URL associated in this post or you can find the article Abundant Love in my blogs. It’s worth reading. I know of another instance whereby the woman, of the same household, helped her friend to attend our Hawaii retreat by taking care of her friend’s entire air fare. If you’re taking notes on how you can offer others of supreme service, put your pen and paper down and remember this. Give from the heart. Give fully. Give supremely. Give with all the joy that makes you happy in giving this way. If I were to offer you perhaps one more little hint, let all your giving be done without measurement. Let go of all of your expectations. Give more instead. Next week we’ll talk about offering thanks. But remember for today, that in your giving supremely you’ll find even more room to give more. It’s fun and let it all come from the heart. I love reading the podcasts as much as listening to them and lately they are touching me deeply in ways that resonate internal healing taking me out of the past and into the present moment. My deepest desire is to release specific parts of past memory connections that no longer serve my present situation. Not only that, I can now see the present so much more clearly allowing the beauty of it to really shine. There has been so many deep connections of supreme service that today I dedicate total intent to remind and refresh the three things reminders of selflessness, unconditionality and straight from the heart integration. Thank you for your supreme service. Today I stand on the mountain top, the wind behind me and the future ahead. What I see and sense is a new beginning, permission to be who I came here to be. You have taught me well and I am grateful.